On March 20th, the equinox signaled spring’s arrival—and with spring, comes love. The vernal equinox is particularly special to me as it’s also my wedding anniversary. This year, my wife and I celebrated 10 years of marriage. We chose this day for our marriage because the equinox signifies balance—day and night are of equal length on the equinox. Over the years, we’ve learned that a successful relationship requires balance and a commitment to journey through the cycles of life no matter what the seasons bring. When we first met, I could have never imagined the immense range of experiences and emotions we would share over the course of our relationship. And, as we begin our next decade of marriage, my goal is to share a few insights on love and commitment for the readers of Elephant Journal. When I typed “love” into the search box on the Elephant Journal’s website, I got over 77,000 articles that included the word love. Clearly, Elephantreaders and writers are in love with the concept of love—pondering it, longing for it, exploring the boundaries of it, feeling it, thinking about it, detesting it, embracing it, over-analyzing it, brooding about it, rejecting it, committing to it, and seeking what it means to find true love, and to be in love. No matter where you sit, I hope that everyone can one day experience the benefits of committing to love. True love is commitment—and not just to each other. What matters most in a relationship, at least from my experience, is to have a shared set of values that can be continuously supported in relationship. For my wife and me, these were ethics of environmentalism and conservation. Since the early days of our relationship, our commitment to the environment as well as to each other has been the glue bonding us together. However, a whole range of different values can serve this purpose, so long as they provide you and yours a framework around which to build your lives together—values beyond the self. My wife, like nature, continuously and unconditionally shares her quiet radiance and blissful being with me every day. And like nature, she is the embodiment of the divine feminine in my life, providing balance for my innate masculine energies. She has shepherded me through sickness, death, and my rebirth. No matter what is occurring in the world, she holds space for me and loves me in a way that I could have never imagined possible before knowing the truth before me—that heaven is here and now, with her, in nature. Heaven is in the simple beauty of life, the life between us, and around us in the world. Because of our commitment to each other and to nature, I wake up every day feeling as if I’ve won the lottery. And, I am reminded by her, as well as nature, that Earth is heaven. It can be found right here, as we share in and deepen our comittment to nature and to love. Although the characteristics that we seek in a lifelong partner may differ, I am personally delighted to have committed myself to a woman who loves nature and the wild. I honor her intelligence, class, sophistication, cultured approach, patience, her unending desire to learn and grow in a thoughtful, kind, open-minded, beautiful, fun, friendly, and reflective way. She is undoubtedly the most loving human being I’ve ever met on this planet. I hope that every other person in a relationship might find the value, not only committing to another person, but in committing to values that transcend the self. In an age when people fear commitment, seek to keep their options open, explore other love interests, and continuously pursue the image of an ideal form of love, the value of committing to a set of shared values is worth exploring given that marriages, or commitments, are more likely to last when you do so. The American Psychological Association states that 90 percent of people in Western cultures are married by the age of 50. However, up to 50 percent of first marriages end in divorce. The divorce rate is even higher for those who remarry after their first marriage. Often, marriages collapse because they lack shared values, or core beliefs at their center. People often marry for superficial reasons like education, looks, wealth, or perceived status. My aim isn’t to explore the reasons marriages do not last; rather, I’m interested in encouraging those in partnership to commit to a shared set of values that can guide them, teach them, and bind them. For me personally, marriage is simply a proxy for making a life-long commitment, and showing the world that we’ve chosen to do so. Marriage is insignificant; commitment isn’t. Ultimately, it doesn’t really matter if we’re legally married, so long as we have made a commitment to another person, and to a shared set of values that underpin the relationship. However, all too often, I see people getting married because that’s what they believe is expected of them; socially, culturally, and for familial reasons. For some, the decision to marry is about the event, the ring, the dress, the flowers, the cake, the presents, and the friends invited to the event. For others, it’s to signal that they’re now an adult and are taking the “correct” steps for a successful life in America (to be followed by buying a home and having children). In the 21st century, weddings are rarely about a spiritual or values-based commitment. Rather, they’re a materialistic performance where the couple gets to take center stage in the lives of those invited. Although the act of making a commitment is actually free, in 2014, the average cost of an American wedding reached $31,213. In the absence of a shared commitment to each other and to a shared set of values, these are poor reasons for entering a marriage. A decade ago, my wife and I decided to take a different approach to this ceremonial union of lives. 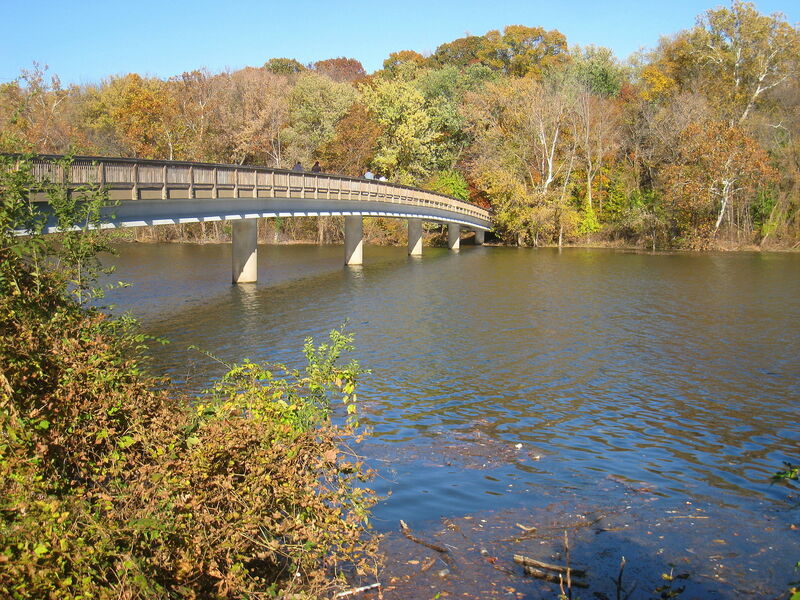 We decided to marry alone in a serene natural setting on Theodore Roosevelt Island—a place that only cost us around $3.12 cents in gas money to get to from our home on the waterfront in Washington, D.C.
We chose this island specifically because of Roosevelt’s dedication to protecting that which sustains us: nature. We felt it would be a powerfully symbolic location reminding us of our mutual commitment to each other, the natural world, and to the field of environmental conservation. Roosevelt was a man of action and knowledge. He studied nature, wrote, and read incessantly, even while on expeditions to the western United States where my wife and I now both live in the Rocky Mountains of Colorado. Enthralled by nature, Roosevelt cherished and promoted our nation’s natural landscapes and the protection of wildlife, as both of us do today. He was one of the most powerful voices in the history of American conservation, and an enduring inspiration to us both, using his power to establish 150 national forests, 51 federal bird reserves, four national game preserves, five national parks, and 18 national monuments on over 230 million acres of public land. Like Roosevelt, my wife and I have dedicated our lives to each other and to ensure that these natural spaces for all Americans remain intact, while also promoting and supporting conservation efforts around the world. Roosevelt’s words and actions continue to inspire our approach, along with so many other environmentalists and conservationists who have come before us. On that day in 2008, there were no government or religious figures present on the island. There was no wedding dress, no bridesmaids, no groomsmen. Our audience was nature and a woman whom I had met when giving an Earth Day lecture at the Washington Ethical Society who served as the officiant to hold space for us and bear witness to our love. As environmental professionals, we decided to focus on our commitment to each other and to nature. We thought about our shared values and concluded that we were both committed to loving, honoring, and protecting each other and the natural world that sustains us. For nature is the bond of both.